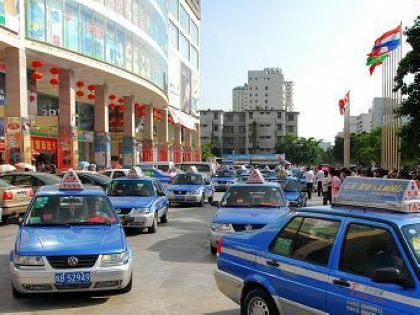 The taxi shortage in Sanya‘s downtown is still a headache for local authorities as tourists are facing and complaining about the lengthy waiting times to get a taxi in the downtown center. With the approaching of the winter peak season, many tourists flock to Sanya and often get frustrated when it comes to a lack of available taxis in downtown. Many people said the longest wait times for taxis were experienced in some busy traffic sections like Jiefang Road and Yinbing Road. In September and October, the city has placed 150 more taxis to service the city and help alleviate transport problems. Some taxi drivers said one of the reasons for the complaints is that the taxi shift time often falls at 7:00 am and 6:00pm, which just happens to be the peak demand during the rush hours. Most passengers complained that the awkward shift change time caused them much trouble. The relevant department has attached great importance to the issue and proper adjustments on the taxi shift time will be made to tackle this transport problem.